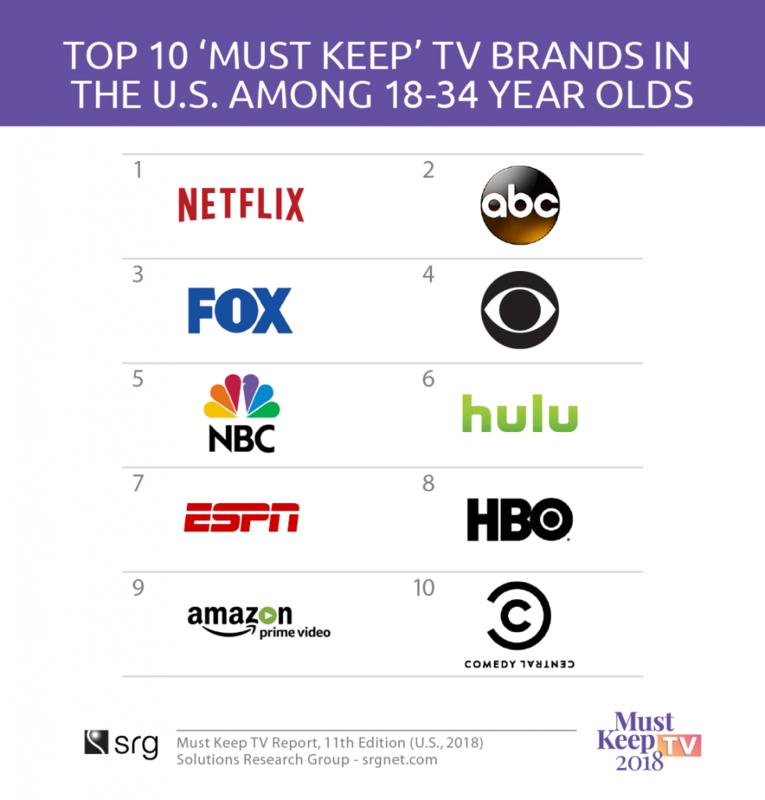 Top 10 lists are always fun, and this one based on SRG’s 11th annual Must Keep TV brand study in the U.S. market earlier this year is no exception. It’s striking that for the first time in over a decade, there are three SVOD services on that Top 10 list. Netflix is in the #1 position but the broadcast networks are still formidable video brands, as are ESPN, HBO and Comedy Central in this elusive consumer segment. 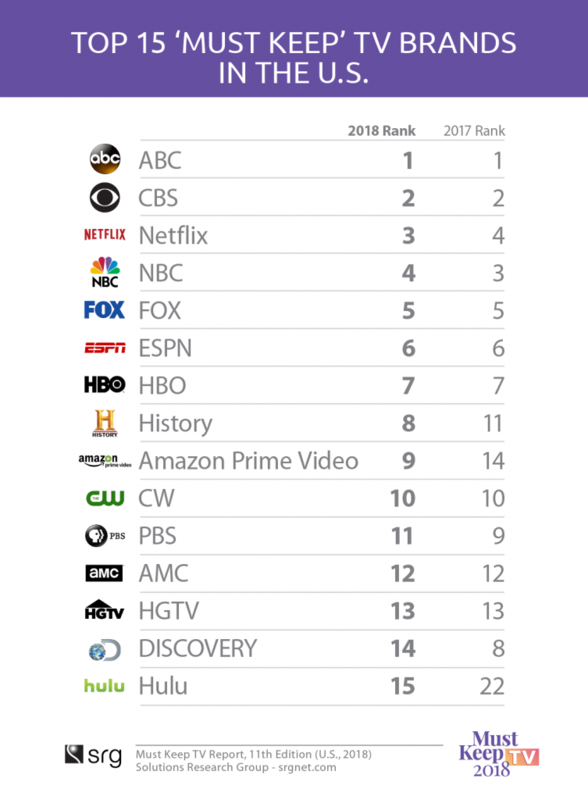 Zooming out to look at the broader population (12+), ABC retains its #1 rank overall, followed by CBS and Netflix comes in at #3, ahead of NBC and FOX. The biggest movers were Hulu and Amazon Prime Video overall, as well as History. Technical: ‘Must Keep’ TV is an independent syndicated brand tracking survey conducted by Solutions Research Group (SRG) among a representative sample of American consumers. This is the 11th edition of the survey since 2007. The questions have been fielded and presented in the same manner each year. The 2018 research is based on online interviews with 1,425 American consumers aged 12 and older and conducted in April 2018 – the sample captures and represents all major population segments. Respondents are shown a list of 78 broadcast, cable and high-penetration streaming brands and are asked to identify which ones would be on their ‘must keep TV’ list if they had to choose a limited number. Sample design is balanced by geography, gender and ethnicity, including African- American and English-speaking Hispanics according to known universe parameters.